Today (7 July 2017 Hong Kong time) I published a front page article in Asia Times “How to Create Regime Change in North Korea.” I argued in that article that we need to take two important steps: sponsor a government in exile for North Korea to replace the Kim Jong-un regime; put in place a nuclear missile defense, preferably in South Korea, to create a counterforce to North Korea’s missiles and nuclear weapons. Today the strategic situation looks like this. In conventional forces North Korea is technically stronger than South Korea, with more men and equipment; but it is on the whole technologically backward. It keeps a strong threat over the head of South Korea by positioning a massive amount of conventional heavy artillery near the armistice line between North and South Korea, meaning (especially) that the North Korean deployments threaten U.S. troops in Korea and especially the city of Seoul, the South Korean capital. 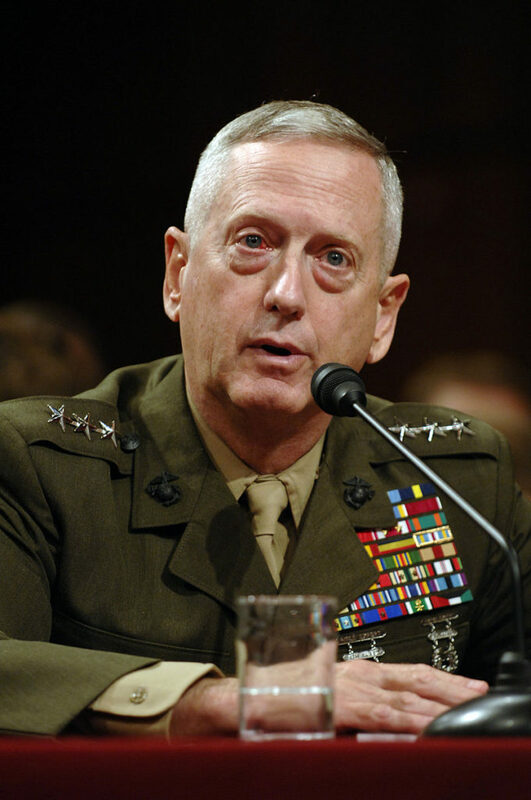 As General James Mattis, now U.S. Secretary of Defense says, any war in Korea would be a catastrophe. Overall, South Korea’s security has been based on the U.S. being a trip wire. It has always been terribly dangerous to keep American troops parked in South Korea, given that they would be subject to very heavy bombardment. Now, with nuclear weapons and tactical-range ballistic missiles, the survival of those troops is very questionable. The North Korean strategy is to force the United States out of South Korea. Once that is done, North Korea would have a free hand to intimidate and threaten South Korea and force the South into many accommodations with the North that would almost certainly result in the collapse of South Korea’s democracy and a transitional regime before a merger with the North that would transfer the South’s huge wealth and preserve the Kim dynasty. South Korea is a very shaky democracy at best. Its trials and tribulations are just a prologue to what we can expect in the coming years. There is no clear path to a road to stability without South Korea being more secure and more able to defend itself. North Korea may be brutal, but it isn’t stupid. It has few assets, a deplorable economy, occasional famines and odious human rights practices. It has nothing worthwhile to bargain with, which is why it has set out on a course of developing weapons of mass destruction and their delivery systems, primarily short, medium and long range rockets. The U.S. is what is problematic because the North needs a way to keep the United States out of Korea’s politics and military strategy. Using long range ICBMs is one way to do that. The North Koreans know the clock is ticking, and they are hurrying to put up a credible long range strike capability against the U.S. The point is not to use it, but to persuade the U.S. to back off from interfering. This is a game (or struggle, to name it correctly) the outcome of which can go either way. It is clear to me that leaving the situation frozen without countering North Korea’s missile and nuclear weapons development is a recipe for incipient disaster. The old strategy is not credible in a one-sided nuclear environment. 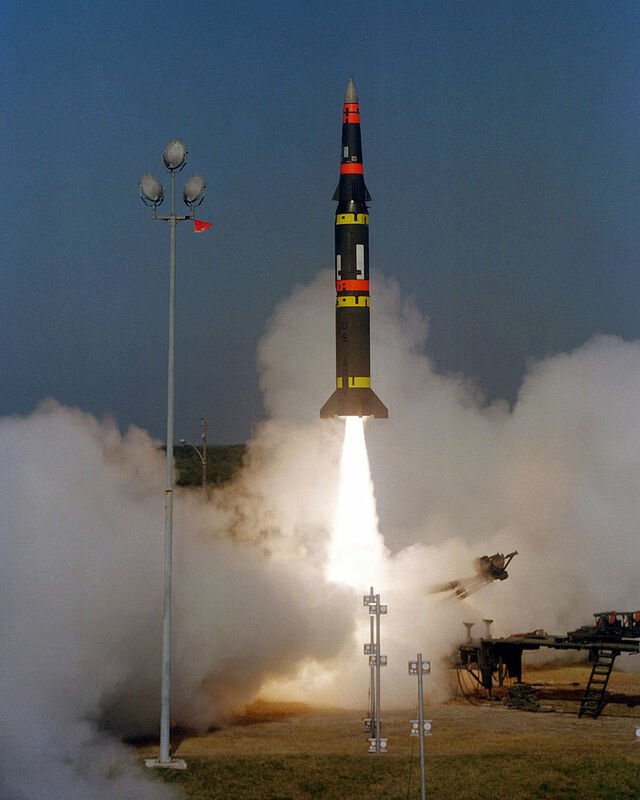 It is true, of course that the U.S. has lots of nuclear strike capability of its own. But that is not good enough because it is far from clear we would do anything if South Korea were really threatened, even with a nuclear attack. And, as anyone sensible would know, the U.S. would be exposed to a nuclear strike that could hit us on the West Coast given the alleged range of North Korea’s new ICBMs. Depending on something like Thaad is such a risky proposition that no one can seriously think Thaad can protect either South Korea, Japan or the United States. For example, in the latest Korean ICBM launch, Thaad did nothing. How will we know when it is not a test launch? The Yomiuri Shimbun says that Japan has legal problems in using missile defenses to shoot down any ICBM that may be heading to the United States. In fact, Japan may even have problems using missile defense to defend itself. So mounting a missile defense from Japan is almost useless unless Japan changes its laws. But even worse, Thaad has never been used other than under testing scenarios and even there has not worked all that well. In the first six test launches Thaad failed entirely; then it was able to work in two tests. Experts say that Thaad can be defeated by a swarm of missiles, and North Korea has been launching swarm missiles to show they can do exactly that. No one should bet on Thaad or, put another way, a Thaad deployment is not a strategy, just a stopgap. In fact the only credible means for us to respond is to set up a counterforce capability in South Korea, even potentially in Japan too. That would upset the North Korean apple cart and force them to bargain. 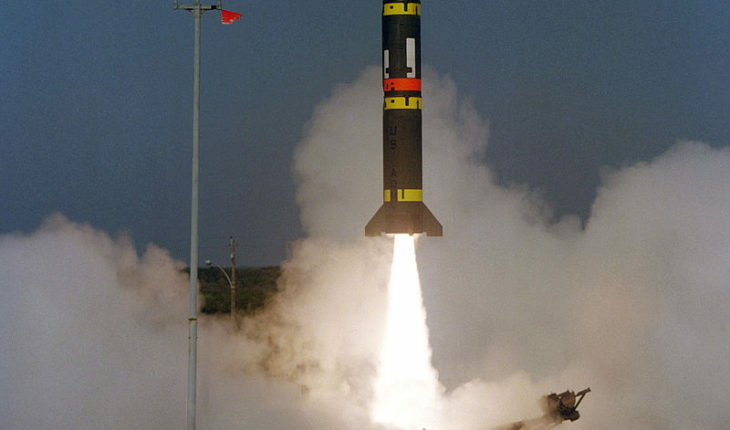 A counterforce would look like the Pershing II missiles we deployed in Germany after the Russians fielded the SS-20 mobile missiles there. And, keep in mind that it appears the North Korean missiles are all mobile, meaning they are hard to track and can be hidden. In regard to defense strategy, the U.S. has been showing that it has effective air and naval forces it can deploy to demonstrate to North Korea’s leaders we are serious. But most of these are at best short term stratagems; you can’t keep aircraft carriers and submarines off the Korean coast full time because we don’t have enough of them and we can’t support them that well. And parking B-1 bombers or even F-35’s in South Korea is likewise risky, since they could be taken out even by conventional artillery if they are on the ground. In short, if we plan to be serious regarding North Korea and want to get them to back down from their missile and nuclear program, we need a serious counterforce. But even that isn’t enough. A military approach is not enough. It needs a political formula as well. For some time now, the regime of Kim Jong-un has been under internal assault. He has had to liquidate a number of close aides and arrange the murder of his half brother, Kim Jong-nam. From what can be gleaned from newspaper stories and the assessments of experts, Kim Jong-nam was considered by China a pliable successor to Kim Jong-un. Thus Kim Jong-un made a number of attempts to assassinate him, the most recent successful attempt was in Malaysia when he was killed by poisoning with Sarin, a nerve agent. When he was in Malaysia, Kim Jong-nam may have been visiting with U.S. agents, perhaps CIA though the evidence is very circumstantial to say the least. Apparently the North Korean regime had good intelligence on his movements and killed him as he entered the airport on his way back to Macau, where he was living. All of this suggests that the current North Korean government has many enemies and internal threats. To exploit this, the nascent opposition needs outside support and the best way to give it is through a government in exile. There are different models for such a government in exile: it can be a collection of defectors or it could be a broader coalition of North and South; it could also have a strong reconciliation and unification mission. The U.S. could fund an exile government and provide the tools it might need to sell its story in the North. The more it is heard, the more tangible it is as an option and the more the internal opposition will have somewhere to turn for support. These two alternatives –military and political– are serious ones that deserve serious study. Current U.S., Japan and South Korean strategy is a dead end. It leads to bigger and bigger problems in future, even war. The best way to prevent war is through good deterrence and active measures. The analog to this thought is, of course what President Reagan did in the 1980’s when he challenged the Soviet Union, leading to serious reductions in nuclear missiles, the collapse of the Berlin war and the demise of the USSR.